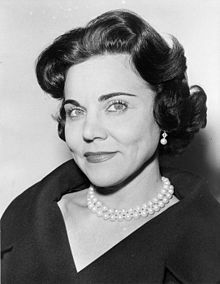 Esther "Eppie" Pauline Friedman Lederer, better known as Ann Landers (July 4, 1918 – June 22, 2002), was an American writer. She is best known for writing the famous advice column "Ann Landers." For almost 45 years, it was a part of many newspapers across North America. In it, people wrote for advice and she answered. Lederer and her twin sister Pauline Esther Friedman Phillips, writer of the advice column "Dear Abby", were daughters of Russian Jewish emigrants. This page was last changed on 27 March 2014, at 21:12.